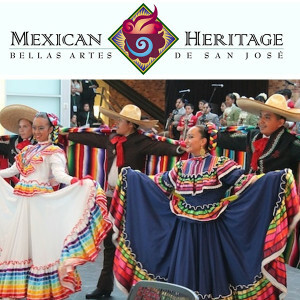 The MHC mariachi and arts education heritage instructional program is provided in three San Jose public schools and also at the School of Arts and Culture in San Jose. The in-school program is taught within a standardâ€™s-based curriculum that also aligns with the International Baccalaureate strand for grades 3-12. Music instruction is taught by professional mariachi musicians with credentialed teaching staff in a program designed to provide sequential learning from elementary school through high school, and to provide access to rigorous music education that also develops opportunity for student peer instruction. The program also offers dance instruction in the folk dance arts of Mexico as an after-school enrichment activity at the School of Arts and Culture. Music and dance instruction is also offered through master class instructional workshops at an educational institution known as The Tech Museum of Innovation. The partnering organizations in addition to The Tech and the School of Arts and Culture are San Jose Unified School District, Horace Mann Elementary, Burnett Middle School and San Jose High Academy. In addition, within the context of the strategic planning process at San Jose Unified School District, the program was highlighted as being emblematic of SJUSDâ€™s strategic planning objectives to provide a high-quality and comprehensive instructional program, to ensure that SJUSD students, staff and parents are engaged, and to close the well documented achievement gap of Latino students by building access â€“ and hence the opportunity â€“ to experience music education. The key artists involved as teaching staff at the school sites are Juan Diaz, Sr., Juan Diaz, Jr., and Carla Diaz, of San Joseâ€™s Mariachi Azteca. The teaching artists at the mariachi master class instruction are recruited from elite mariachi ensembles such as Mariachi Cobre, Mariachi Azteca, Mariachi Sol de Mexico and Mariachi Reyna. These artists are in the vanguard of curriculum-based mariachi instructors and provide instruction that aligned to State of California Performing Arts Frameworks and the IB curriculum, within the cultural context of teaching a folk art form in the traditional manner of demonstration, repetition and performance. The teaching model combines standards-based instruction with traditional form of teaching this genre of folk music. The artists also assisted with curriculum development and professional development training. The teaching artists for the dance school are from the dance ensemble known as Los Lupenos de San Jose. A) to instill in students the everlasting skills needed to succeed in life: reading proficiency, critical analysis, problem solving, development of language and spatial reasoning, and the ability to deal with uncertainty, development of character and perseverance and the motivation and drive for excellence by teaching how to create, perform, listen to and analyze music. B) students will learn the concepts of rhythm, melody, harmony, form, tone color and musical expression by engaging, doing and fully participating in this vocal/music curriculum. C) Students will learn instrumentation by reviewing the fundamentals of mariachi performance. These classes will apply the following student objectives on a multi-level basis: learn and demonstrate the rudiments of music theory in a sequential format, learn and demonstrate specific techniques for both right and left hands that are common to performing the mariachi repertoire, learn and properly execute common mariachi music melodic and rhythmical patterns, learn and demonstrate the origin and the individual characteristics of the musical instrument, learn and explain the role of their instrument as it pertains to the mariachi ensemble. D) Students will also learn relevant cultural, geographic and historical facts as it pertains to the music. The students will engage in listening, reading, writing and discussing the presented material, hands-on learning strategies, active skill demonstrations and performance during their classroom experience. A builder of community by creating opportunities to showcase student achievement through place-based performances at traditional performance venues and at locations which are not performance venues but where community gathers such as community centers, super markets, museums and athletic facilities â€“ our students have performed at all of these venue categories. For more information, please visitÂ www.vivafest.org has content that highlights our students in performance at our annual festival andÂ www.mhcviva.org has agency information about the programs, staff etc. The music classes require classrooms with music stands and black boards. The dance classes require dance studios with mirrors and wood floors.